Bring back the memories of the 60's with our Woodstock youth tie dye t-shirt. 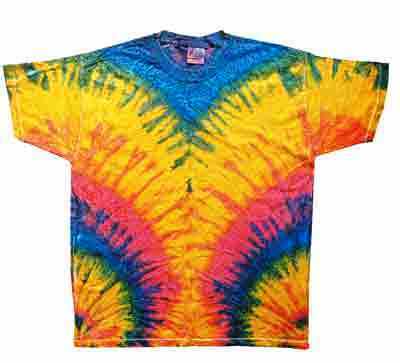 100% heavyweight pre shrunk cotton that has been tie dyed and dip dyed to create this great multi-colored t-shirt. I love this shirt and so does my son! The colors are incredible and the shirt is heavyweight and very durable.